Hello Rebels, and welcome back to my life. My very, very tired life. Yes in a stunning turn of events I am once again exhausted. I spent the last week working a completely insane schedule in order to complete a video project for my friends over at Sterling & Stone. They’re going to be launching a Kickstarter in six days for an app called Story Shop and I’m really, really super excited for it. It’s basically a tool for writers to use when building their story worlds, establishing their characters, and writing outlines for their stories. If you’re a fan of mine you probably already know about Sterling & Stone and you’ve probably already heard about Story Shop, but if not there’s a link in the description where you can go hear them talk about it. Definitely check the Kickstarter when it drops next Monday. So yeah I’ve been working on that video on a really, really intense schedule, but it’s done, and I like it. And, the guys I was making it for loved it too, which I guess is also nice. 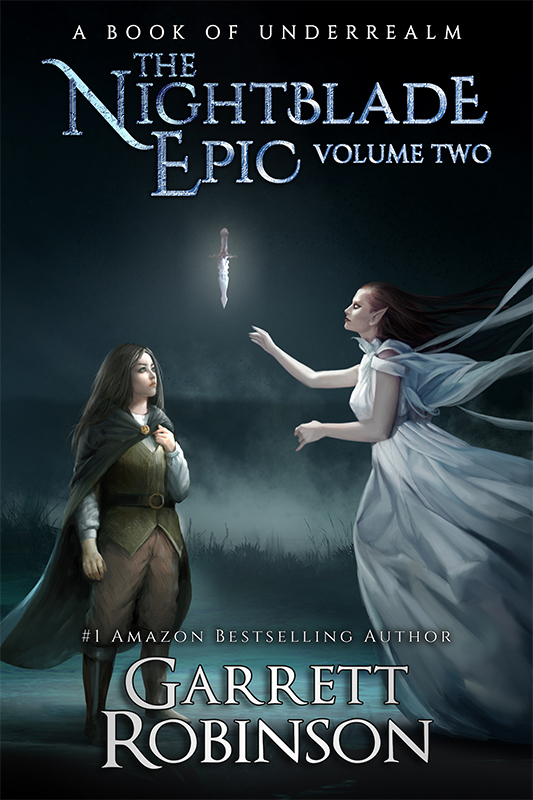 I’m also working on new covers for the Nightblade Epic, as I’ve mentioned before. That was a little bit more of a toughie. I was having a hard time nailing exactly what I wanted on the covers. I gave my initial thoughts to the designer and she came back with a cover…and I hated it. But at the same time it was hard to tell if I had a real issue, or if I just had an unreasonable and biased attachment to the current covers. Which is, of course, a very high possibility because, if you’ll remember, I designed them myself. I refused to accept it. I was sure I was wrong, that there was a legitimate complaint with the cover and it was actually terrible no matter what other people said. So I went to someone who is a graphical person himself. He’s an artist and a cartoonist and has done a number of book covers in his own right. And he’s also a somewhat cynical person who I was sure would LOVE to tell me how awful the book cover was, if it was awful. (For those of you who know who he is, I’m talking about David Wright). And Dave…loved it. He thought it was just great. Well, as great as Dave ever finds anything. It was really, really hard to accept the fact that I was not seeing the new cover accurately and honestly. It took actual mental effort to move past that roadblock. That’s the way bias works. We never think it exists. We can understand analytically how bias works, but we have an inherent tendency to think of it as something that happens to “other people,” and not to us. As an artist, you want to uphold a certain standard. You want to make sure that you yourself enjoy the art you create. That’s your first standard, and you shouldn’t abandon that. But when it comes to your art—especially when it comes to collaborating with someone else, as in a cover designer or someone else helping you with your book in any way—you have to stay really self-aware about yourself and your biases to make sure you’re not changing things for an unfounded reason. We all have specialties and knowledge bases and real-life experiences that shape the way we think about everything. If you’re a real grammar stickler, you might be biased toward a certain grammar style even if an average reader will be turned off by that language. If you’re heavily into historical fact and trivia, you might go nuts trying to include lots of detail in your story that doesn’t necessarily need to be there, because YOU love it but you don’t recognize that readers find it really boring to read. And in my case, a little bit of skill with graphics and Photoshop made me automatically reject a cover that, it turns out, is actually really good. We’re still working on that cover, but I should be able to show it to you guys really soon. Keep an eye out for that. I’m going to be sharing it with my email list and my patrons first. So if you want to join the email list, there’s a link in the description, and if you want to become a Patron and help support the YouTube channel, there’s also a link down below to do that. Thanks very much for watching. An extra special shout out to my supporters on Patreon who make all my YouTube videos possible, especially my sponsors, and I will see you tomorrow. Byyye.